Wall, NJ: Packaging machines in the Pharmafill(TM) line from machinery manufacturer Deitz Co., Wall, NJ (www.deitzco.com), now feature durable casters as standard at no extra charge. Introduced as an added convenience for food, pharmaceutical, nutraceutical, and other manufacturers, the non-marking casters allow the machines to be rolled safely and easily by one person for smooth installation, quick setup and ergonomic access to the machine interiors for cleaning and inspection. 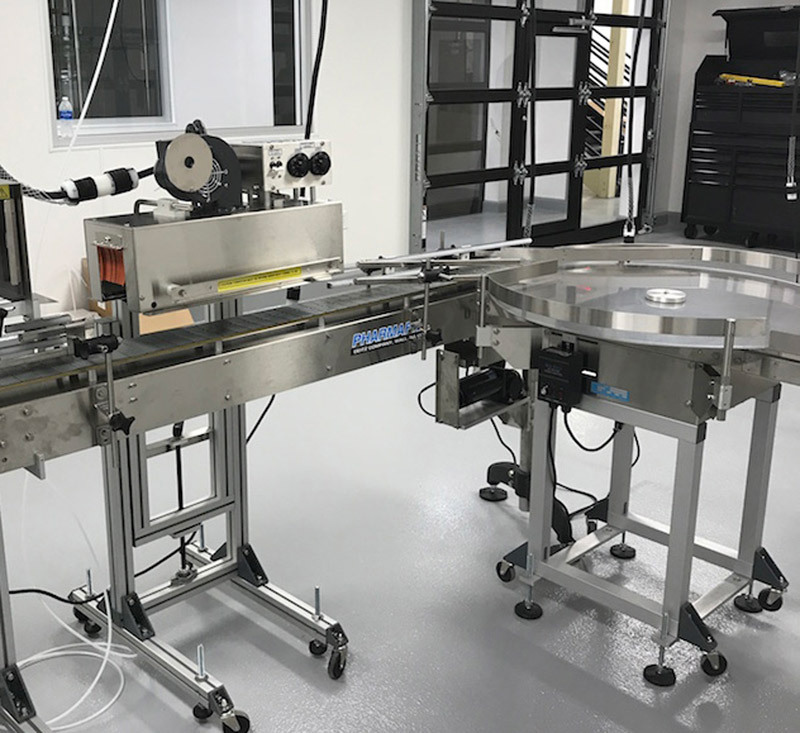 Ideal for contract packagers, the rolling action allows individual machines to be rolled from one filling and/or packaging line to another for fast changeovers without requiring investment in multiple machines. Installed during machinery manufacture at the company’s Wall, New Jersey headquarters, the rugged casters are included with new Pharmafill tamper-evident neck banders, heat tunnels, tablet-capsule counters, desiccant inserters, cotton inserters, conveyors, and rotary turntables. Companion leveling pads that minimize vibration and help secure the machinery in position are also included.